Every year I like to share the free birthday gifts I pick up from Sephora, Ulta and Urban Decay. While there isn't a lot to share this year I still thought it'd be an informative post. Plus I find that a lot people don't know about the FREE birthday freebies that you can get from these retailers, and this is a great way to get the word out. Sephora usually has two gifts options, one makeup related and the other skincare and I always pick out the makeup option. Last year it was a Tarte gift, year before that it was Marc Jacobs and this year it's a Bite Beauty set. Sweet, I love me some Bite Beauty! This duo features an Amuse Bouche lipstick in the shade Chai, a Matte Creme Lip Crayon in Glace and a sample of both the Agave Lip Balm and the Agave Sugar Lip Scrub. The Matte Creme Lip Crayon in Glace is one of my favorite lip products, I've gotten 3-4 before in point perks and love both the shade and formula. I always tell myself that I am going to splurge on a full-size of this partucular shade, but I am super stingy when it comes to lip products and have not yet taken the plunge. In the meantime, I treasure these deluxe sizes. From Ulta Beauty I received a Deluxe-Sized It Cosmetics Super Hero Mascara. This is one of my favorite mascaras - so while this wasn't the most exciting of gifts, I'm still stoked to have gotten it and love this really cute deluxe tube. I have two full-sized tubes of this in my collection at the moment so I will probably be sending this over to my daughter in AZ. As a bonus for being an Ulta Platinum member I also got a $10 Off coupon , I look forward to this coupon each year and love deciding what it is that I will be spending it on. This year I picked up a Dose of Colors Block Party Eyeshadow in the shade Olive You, which is so stinking pretty! These eyeshadows are pretty pricey but I only paid $10 after my coupon and I can't wait to wear it. I normally also pick up a gift from Urban Decay.com, but this year they are giving the same gift as they did last year, a full-sized Urban Decay After Glow Highlighter in the shade Sin. Not sure why they have not changed the gift in over a year, I did contact customer service in case it was an oversight, they told me they want all new rewards members to also take advantage of this gift. A bit strange if you ask me because I would have totally made a purchase had there been a new gift but I did not need a second highlighter. If you haven't signed up for the UD Rewards program, called UD Beauty Junkies, I highly suggest doing so. As a rewards member you always get free shipping and they have a similar points program to Ulta, where you actually earn dollar rewards to use on future purchases. If your birthday is soon, I highly suggest getting ahold of that Sin highlighter because it's really beautiful and a $26 value. 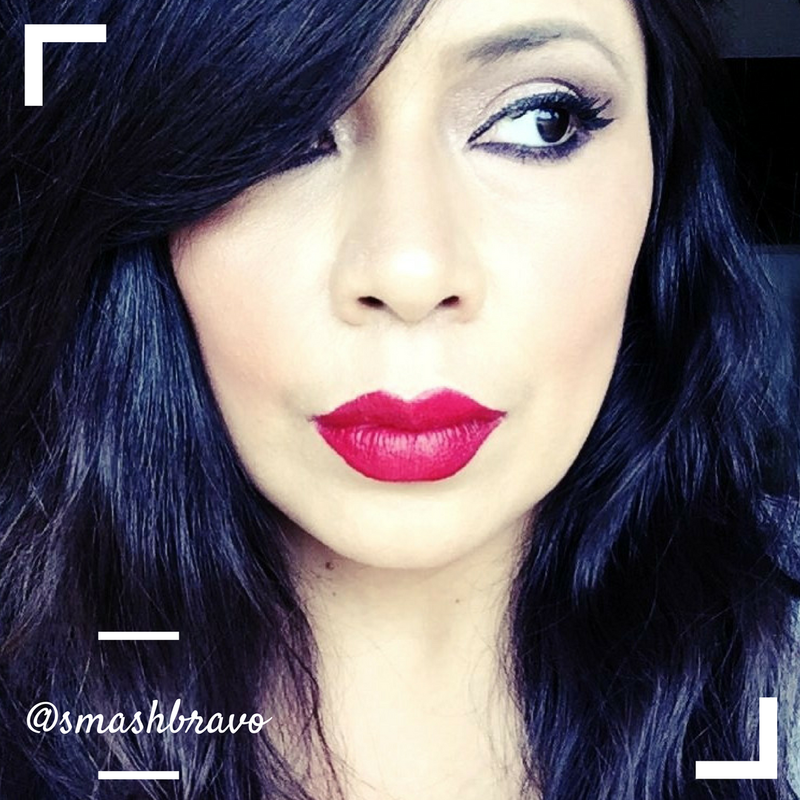 Join UD Beauty Junkies here using my link (I get a few points if you use this link). That was it for my 2018 birthday freebies, not the most exciting of little hauls but still quite fun. I actually really enjoy and look forward to these little goodies every year. If you haven't signed up to these retailers rewards programs, I highly suggest doing so, that way you too can pick up your free b-day gifts on your birthday month. 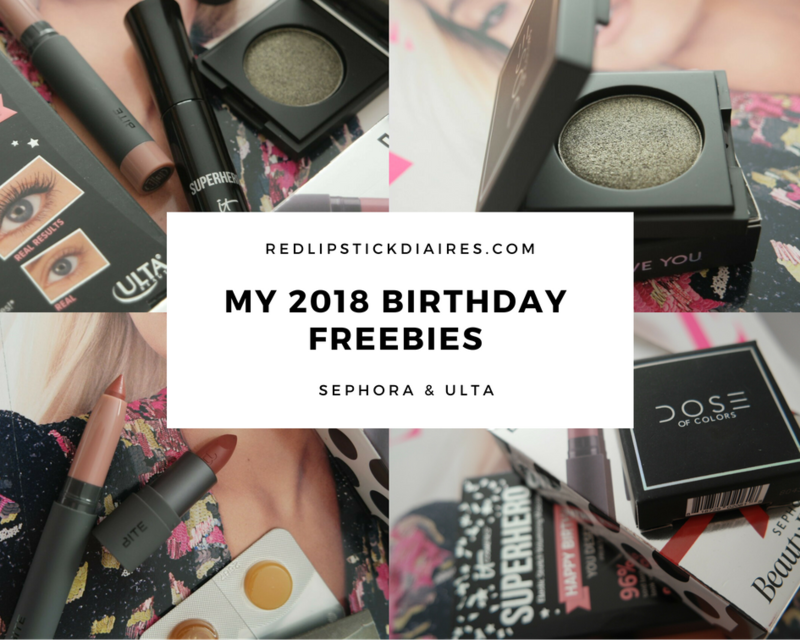 You can pick up your birthday freebie from Ulta and Sephora without making a purchase: at Sephora you just give them your rewards email on your birhday month and from Ulta you will get a coupon via email. At UD you will need to make a purchase for your freebie but there is no dollar limit you have to meet. That Dose of Colors eyeshadow is so pretty! !